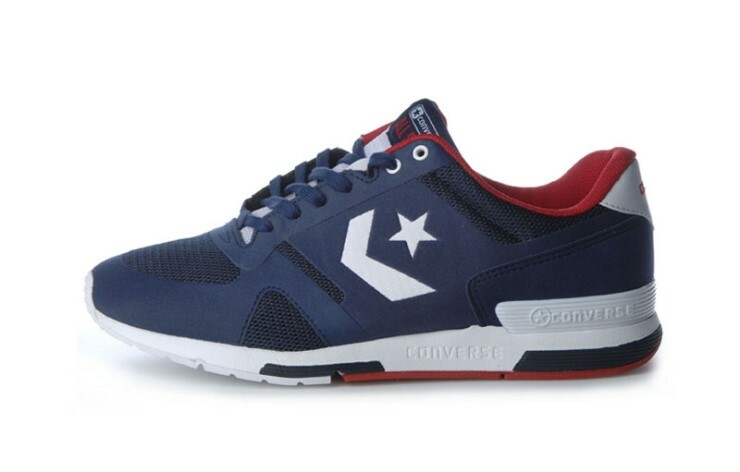 Recently I posted up pictures of the Converse Road Machine from Korea. 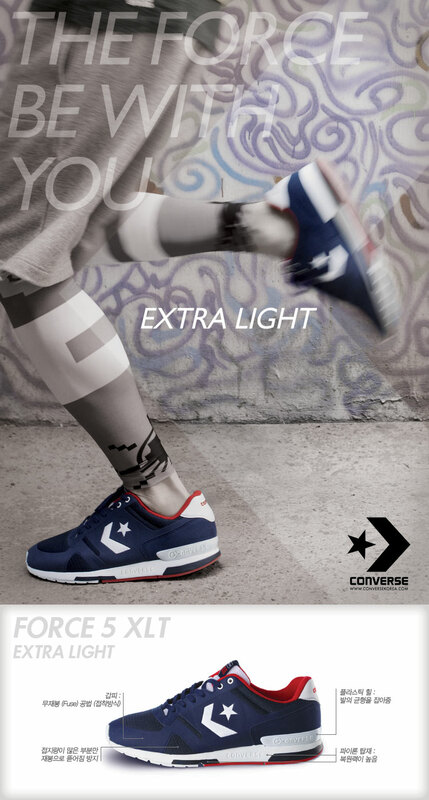 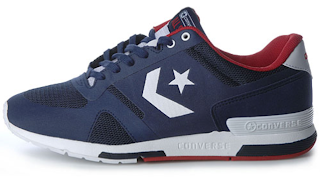 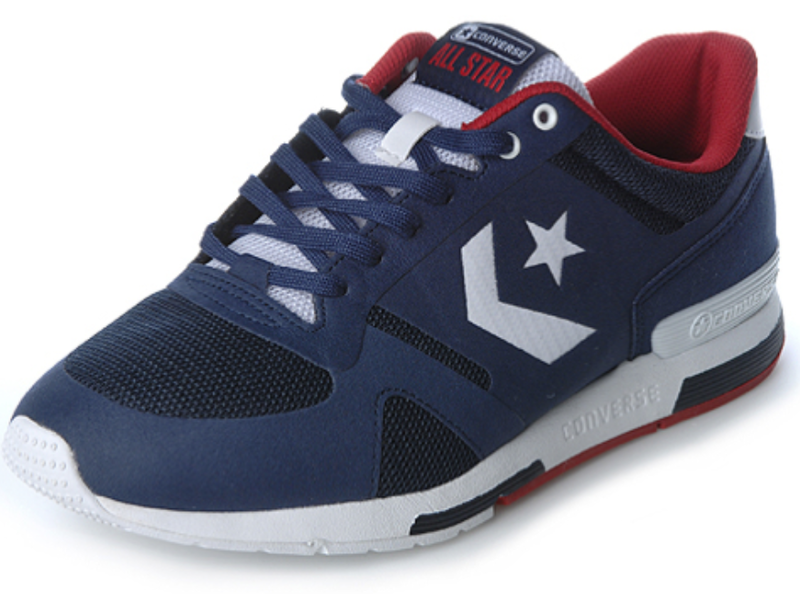 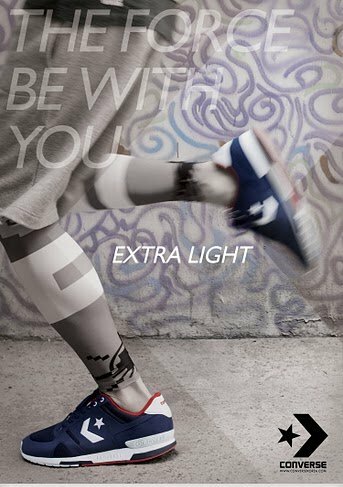 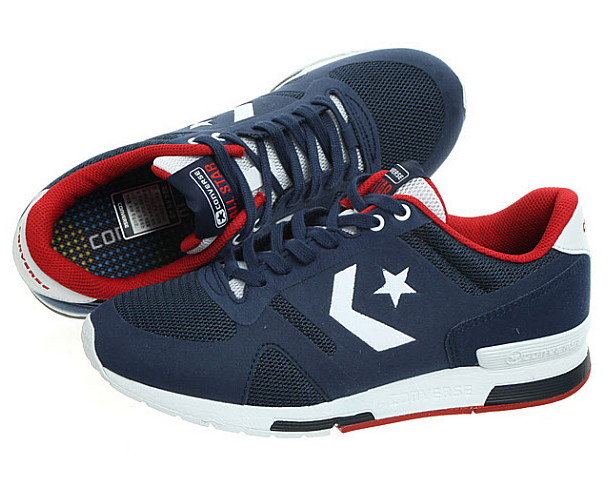 Today I bring you another of Converse Korea's running shoes, the Force 5 XLT. 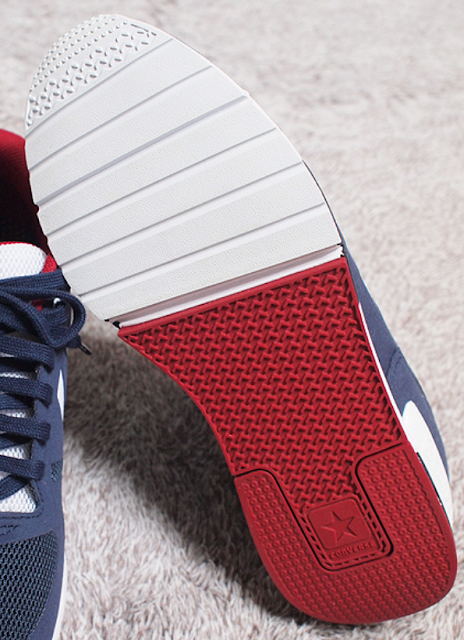 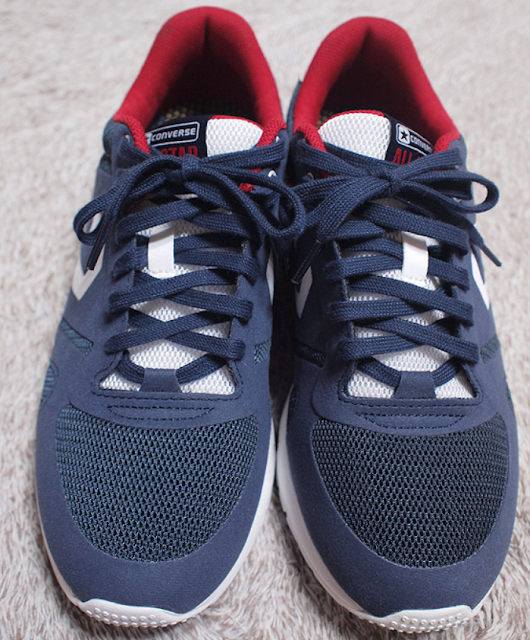 Below is the Navy/White/Red Colorway. 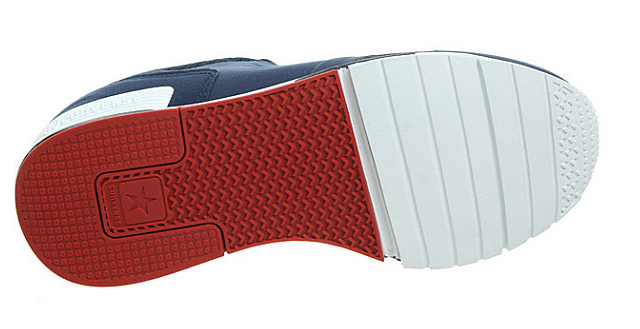 The XLT stands for Extra Light, which I assume it's a light foam used to decrease the weight of the shoe.